After a cold and snowy start to December, the weather decided to finally warm up to more normal temperatures and the morning of the December handicap was perfect. For those of us standing around and not running, it was cold, but the runners warmed up quickly. Each lap seemed to prompt the shedding of more clothing, as witnessed by the volunteers. We had a record turnout for this handicap with 25 teams competing. We had several husband/wife teams, a father/son team, and several teams from the Healthy Active Natives group. Each team ran a total of 6 ~1-mile laps with team members taking turns running. It wouldn’t be a handicap without someone getting lost and this course was no exception. By the second lap, though, all of the kinks were worked out and everyone was able to stay on course. First across the line for the handicap win were Seanna and Tina from the Healthy Active Natives group and Chuck Fuller and Beth Davenport took second. Beth has run this race several years in a row and is still looking for that elusive first place finish, having finished second the last two (or is it 3?) years. As is handicap tradition, we enjoyed a potluck after the race. There was a great variety of food at this event including a homemade mousse by pastry chef, David Kaufman. We also had the pleasure of having two of the newest additions to ARR and future relay runners – Oscar and Aiden – in attendance at both the handicap and potluck. These two little guys are both under a year old and you didn’t hear a peep out of either one of them. The both even tolerated dogs in their faces. We look forward to seeing them run the relay in 2028. The next handicap will be held on Sunday, January 19 at 9 am at the home of David and Katherine Wilson in beautiful Placitas. This will be a prediction run so no watches allowed! Look forward to seeing you all at this fun event. 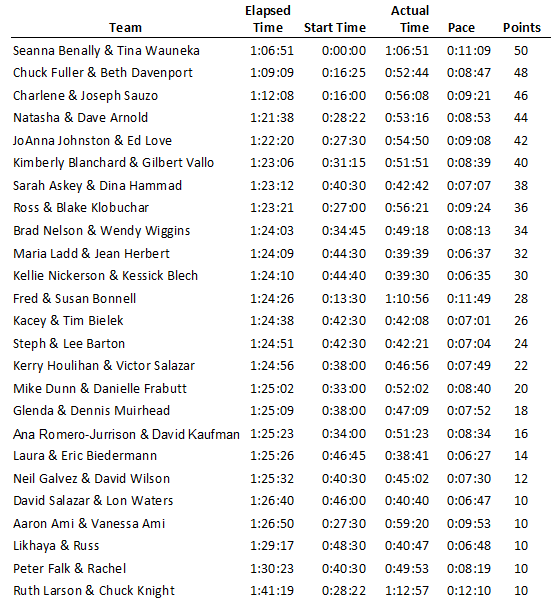 We have a tight race so far for the shoes with Natasha and Dave Arnold the frontrunners right now. But Chuck Fuller, Sarah Askey, and JoAnna Johnston are right there, too. Come out and join us in January! 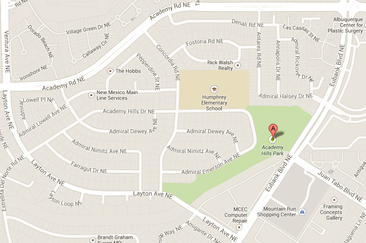 Academy Hills Park is located where Juan Tabo Blvd and Eubank Blvd NE intersect. 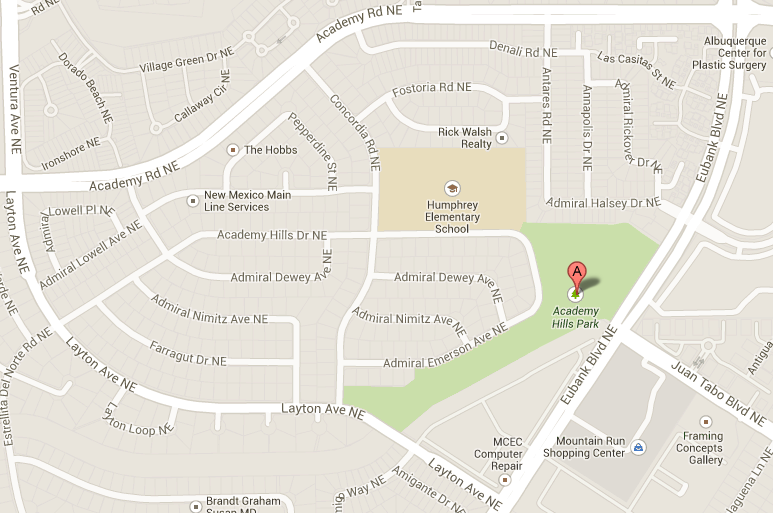 The handicap will start at the southern edge of the park, at Layton and Concordia Rd. ARR handicap races are FREE and FUN!